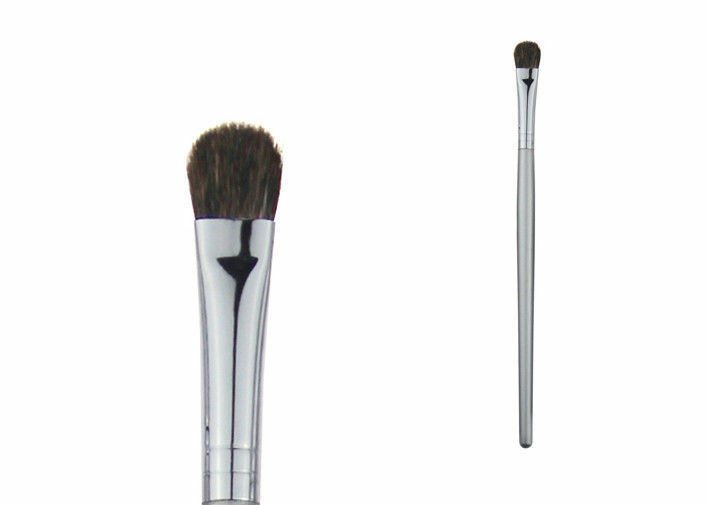 Silver wood handle weasel hair eyeshadow makeup brush. Pink aluminum ferrule, premium material. Natural wood handle, light and good handle feeling. Easy to catch powder,no irritate to your skin. B : 1.clean your brush once a week.